Oxybenzone is one of the more popular molecules used by chemists during the manufacturing of cosmetics and is included in sunscreen for UV protection. The chemical is often used to stabilize and strengthen the color and scent of skin care products, but its widest use is in the form of sun block. Unfortunately, the debate about the safety of oxybenzone is still ongoing. One of the biggest concerns in the medical community about the widespread use of the molecule comes from the fact that it’s easily absorbed into the body. This absorption raises concerns that oxybenzone may accumulate in the body, eventually leading to potentially toxic levels of the chemical, which can affect the endocrine system. Researchers established as far back as 1906 that oxybenzone existed in plants and could be commercially utilized for its broad-spectrum ultraviolet (UV) protection against UVA and UVB rays. The chemical was used in an array of applications and, in the 1980s, was approved by the Food and Drug Administration (FDA) for commercial sale in the United States. 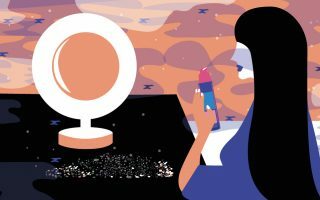 The recent FDA regulation allowing just 6% oxybenzone to be used in cosmetics from April 1, 2013 suggests that the chemical is being analyzed for safety on an ongoing basis, as some of its potential side effects are not fully understood. Besides its ability to mitigate sunburns, oxybenzone may diminish long term skin damage from the sun, and can slow the development of dark spots on face, which are often caused by UV radiation. The molecule is widely accepted as one of the best organic UVA filters currently used in sunscreens. In fact, it is so widely used, that it is believed to be present in the bodies of approximately 97% of Americans, because of its prevalence in sun block and even the best sunscreen for face. On the one hand, while the use of oxybenzone in skin care products has increased over the last few decades, there are some precautions to be taken, especially if you use a large number of products with this ingredient. Some have also found it strange that decades after its initial implementation and mass production, oxybenzone has come under repeated scrutiny leading to ongoing scientific investigation of the chemical’s long term effects on the human body. Until the scientific community arrives at a more conclusive understanding of dangers associated with prolonged use of oxybenzone, some precautions should be taken to avoid health concerns. Oxybenzone demonstrates little immediate effect of toxicity on the human body. Therefore, it is abundantly use in commercial products. Good news for manufacturers – bad news for those with highly sensitive skin. 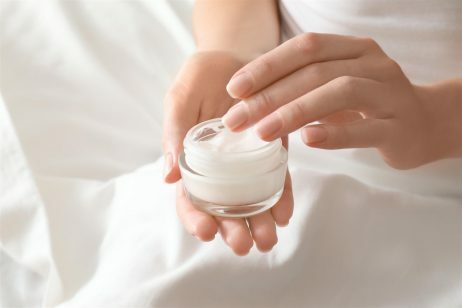 Because the chemical is common in skin care and moisturizers with sunscreen, you are more apt to encounter it in your daily skin care routine, and should therefore take steps to mitigate potential bio accumulation by substituting some of your products, so that they don’t all have this chemical. The human body has numerous hormonal receptors to which oxybenzone readily attaches itself, thus increasing hormonal activity within the body. This can be a big deal, as hormone levels play a role in the vital processes of the body, and if your endocrine system is fooled by the presence of these pseudo hormones, it can affect your organ systems and other bodily functions. Also, keep in mind that the body can overcome mild changes, but if endocrine system receptors are blocked by oxybenzone on a regular basis, you may experience hormonal imbalances, leading uncharacteristic weight gain, to pain caused by inflammation in the body. Because oxybenzone can be absorbed through the skin, women who are pregnant or breastfeeding should consult with a pediatrician if products with this chemical are being used on a regular basis.